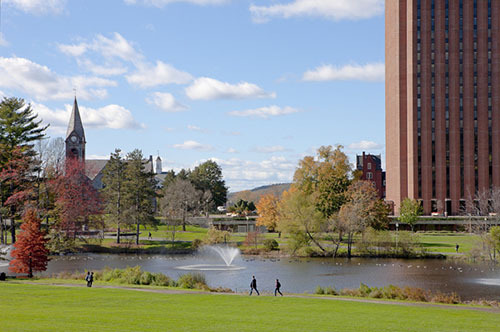 The Faculty Senate at the University of Massachusetts Amherst is a representative body that is responsible for faculty participation in University planning and governance. The Faculty Senate was first proposed in 1955 by an ad hoc committee appointed by President Jean Paul Mather. It was studied through 1956 and finally met for the first time in the spring of 1957. Before the Faculty Senate, there was a committee on educational policy that served a similar role. You can learn more about the Faculty Senate here. The Faculty Senate will meet on the following dates during the 2018-2019 academic year. Agendas, minutes, and discussed documents are available by clicking the meeting links. All Faculty Senate meetings are held in Herter Hall, Room 227 and start at 3:30 p.m. (unless otherwise noted).